[Additional file 1] The Iliad and the Odyssey were written by Homer in about 800 BC. Considered great epic poems of the Greeks, both works, especially the Iliad, offer some insight into ancient Greek medical practices before the time of Hippocrates (470 - 410 BC). 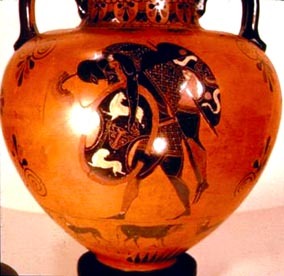 The Iliad recounts the 9th year of the legendary battle between the Trojans and the Achaeans (or Greeks), known as the Trojan War, which if it truly happened, is variously dated by historians and archaeologists as having occurred around or between 1334 BC - 1184 BC. The Odyssey narrates the fantastic adventures of Odysseus, one of the heroes of the Trojan War, on his journey back to his country and ends happily with reunion with his family. The Iliad on the other hand is a tragedy. It deals with the Wrath of Achilles, its hero, who, having quarreled with Agamemnon, King of the Achaeans, withdraws from the fighting. 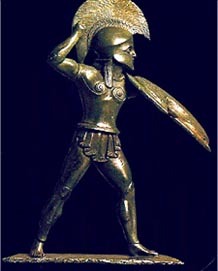 But Achilles' dearest friend is slain by Hector, the greatest warrior and hero of the Trojans. Achilles reconciles with Agamemnon, fights again, and he kills Hector. Although the Iliad does not end with the death of its hero, we are reminded throughout the narrative that Achilles in the end will himself be killed. I was a college student when l first read the Iliad (English translation) and it easily became one of my favorite books. In addition to the theme and the plot, I was fascinated with how the gods frequently meddled in the affairs of ordinary mortals. The gods were ever-present, helping their favorites and hindering their enemies. But when the time finally came for a man to die, the gods watched silently. The gods could save him but Fate and Destiny were irreversible and not to be trifled with. Interestingly, before the inevitable death of the gods' favorites, the gods would first crown them with glory. Down from the peaks of Olympus he strode, wroth at heart, bearing on his shoulders his bow and covered quiver. The arrows rattled on the shoulders of the angry god, as he moved, and his coming was like the night. Then he sate him down apart from the ships and let fly a shaft: terrible was the twang of the silver bow. The mules he assailed first and the swift dogs, but thereafter on the men themselves he let fly his stinging arrows, and smote; and ever did the pyres of the dead burn thick. Homer, Iliad was placated when "the bright-eyed maiden", the daughter of Chryses, was returned to her father. Like other people of antiquity, the Greeks believed that the gods had power over mortals and controlled man's destiny. When angered, the gods punished man in various ways: disease, plague, death, natural catastrophes, misfortunes etc. Appeasement of the gods through prayers, offerings and sacrifice was therefore a central aspect of daily life. That Homer began his tale with a description of pestilence, told in language ringing with rhythm and cadence reflects his extraordinary talent. It grips the reader's attention. Its power is not lost even in translation. The Iliad of course is considered one of the world's great literary epics. The important physicians of the Greeks in the Iliad were Machaon and Polidarius, sons of Asclepius. Asclepius is mentioned only once in the Iliad and he was not a god then, but he seems to have been renowned for his healing abilities for Homer refers to him as the "peerless physician." History tells us that the healers and those in need of healing invoked Asclepius' name in prayer and healing ceremonies in temples and at home. A healing clan known as the Asclepiads claimed to be the descendants of Asclepius and to have inherited a knowledge and mystical power of healing from him. Asclepius was later elevated to divine status, and temples were built to him throughout the Mediterranean world well into late antiquity. Sick people visited those temples to be healed in a ritual known as "temple sleep." They lay down to sleep in the abaton or "dream room" and were visited in their dreams by Asclepius or by one of his priests, who gave advice. In the morning the patient often is said to have departed cured  . The remains of those temples may still be seen at Epidaurus, Cos, Athens, and elsewhere. The Romans know him as Aesculapius and he has come down to us as the god of medicine, his life story shrouded in myth and legend. Legend says that Asclepius' father was the god Apollo, who was often considered to be a god of healing  . In many Greek stories, Apollo is often depicted as the bringer and reliever of plagues as in the Iliad. 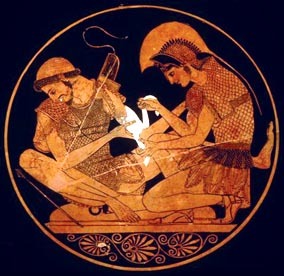 Homer says that when the physician Machaon was wounded, the Achaeans quickly took him away from the battlefront to their ships for speedy treatment for he was "worth a regiment" since he was a surgeon of supreme skill in his ability "to cut an arrow and heal the wounds with his ointments." 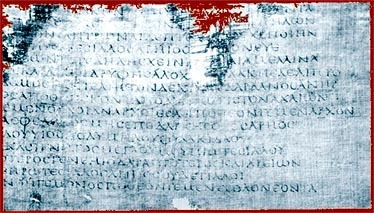 The passage reflects how the Greeks valued a good physician as well as implies that medication was applied to heal wounds. Of course, the service of a good surgeon is indispensable in battle from ancient to modern times. The numerous descriptions of wounds and traumas suffered by the warriors, fatal and non-fatal, provide us with information regarding the state of knowledge of anatomy in pre-Hippocratic times. Homer's Iliad shows that knowledge of anatomy was rudimentary at that time. The vital organs had names and the warrior knew where to strike to cause death. Most likely, in Homer's time, in common with other ancient peoples, anatomical knowledge was derived from the battlefield, the sacrificial altar, and the preparation of food. Such activities were the beginnings of anatomical knowledge. The treatment of wounds consisted essentially in removing foreign bodies, washing, and the application of herbals. No bandaging is mentioned. The foreign body usually was an arrow, which was difficult to extract because of the barbs and the wound had to be enlarged. The liquid used for washing was warm water and herbal preparations were applied directly to the wound. ". . .But save me. Take me to the ship, cut this arrow out of my leg, wash the blood from it with warm water and put the right things on it - the plants they say you have learned about from Achilles who learned them from Chiron, the best of the Centaurs." "Patroclus laid him down, cut the sharp point of the arrow out of his thigh with a knife, and washed away the dark blood from the wound with warm water. Then he teased out the root of a bitter herb in his ands and applied it to the place. It was a sedative, which banished all his pain. The wound began to dry and the blood ceased to flow." "And the monstrous Hades himself was wounded by an arrow. . . Sick at heart and in excruciating pain, Hades found his way to high Olympus and the Palace of Zeus. The arrow had driven into his shoulder muscles and was draining his strength. . . Paeeon, the Healer spread soothing ointments on the wound and cured him." As the passages above show, the nature of the drugs is not described except for assertions that they were soothing and that they killed the pain. Drugs were applied not because of a belief that they had natural healing properties but because they had magical powers. 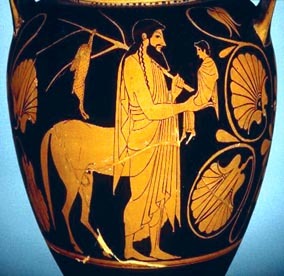 In Greek mythology, Chiron, the centaur, invented medicine in order to heal himself when he was wounded by Hercules. Chiron is known as the Master of Medicine. Chiron taught Asclepius the art of healing, which became the source of all divine medical knowledge among the Greeks  . Chiron was also the teacher of the hero, Achilles, who was thought to have had some special medical knowledge. The Greek word pharmakon, usually translated as "drug" originally designated a substance with magical powers  . These powers did not need to be therapeutic but were the result of inherent qualities that were considered to be magic. In the Iliad, there is no mention of drinking a substance to ease or kill pain, considering that the pain from horrific wounds suffered by the warriors must have been excruciating. This is quite surprising since opium was already available in Greece at the time of Homer and even long before the fall of Troy. However in the Odyssey, Homer mentions a potion dispensed by Helen to her guests at a banquet and the description would seem to be consistent with the known effects of opium. "Then Helen, daughter of Zeus, had had an idea. Into the bowl in which their wine was mixed, she slipped a drug that had the power of robbing grief and anger of their sting and banishing all painful memories. No one that swallowed this, dissolved in wine, could shed a single tear that day, even for the death of his mother and father, or if they put his brother or his own son to the sword and he were there to see it done." Homer mentions too, that the drug that had the power of "banishing painful memories" was given to Helen by an Egyptian woman and goes on to say that "the fertile soil of Egypt is very rich in herbs, many of which are beneficial in solution, though many are poisonous. And in medical knowledge, Egyptians are supreme among men." The reference to Egypt indicates Egyptian influence on Greek medical practice. As early as 3400 BC, opium poppy was cultivated in lower Mesopotamia where it was known as the "joy plant." Babylonian knowledge of the plant and its euphoric effects was passed on to Egypt and in 1300 BC, the Egyptians began cultivating poppy. Trade in opium flourished with the Phoenicians and Minoans who exported the profitable item across the Mediterranean Sea into Greece, Carthage, and Europe  . A statue of a Minoan goddess (dated 1300-1250 BC) wearing split poppy capsules as hairpins has been found in Crete  . Unlike the Iliad, which deals with battles and wounds, the Odyssey describes the voyages and adventures of Odysseus returning from the Trojan War. The Odyssey is more fanciful and contains more magic elements and fairy tales than the Iliad. For example, incantations to stop bleeding are not found in the Iliad whereas in the Odyssey, it is mentioned that while hunting, a boar wounded Odysseus in the leg and his companions stopped the hemorrhage with an incantation. There is also an interesting passage describing a voyage undertaken by Odysseus to procure arrow poison. "For there, too, went Odysseus in his swift ship in search of a deadly drug, that he might have herewith to smear his bronze-tipped arrows." Toxon in Greek means "bow" and the plural, toxin means "bow and arrow." Toxicon pharmakon is therefore not a toxic drug but a drug for smearing arrows  . Through the centuries the word "toxin" evolved to denote "poison", dropping the bow and arrow along the way. "Who. . . seeks out a stranger from abroad, unless he be one of those that are masters of some public craft, a prophet, or a healer of ills or of evils, or a builder, or a divine minstrel, who gives delight with his song? For these men are bidden all over the boundless earth." "Healer of evils" (or Ieter kakon in Greek) as the physician was known indicates that he treated diseases without resorting to surgery. Sigerist interpreted the passage above as illuminating the status of the pre-Hippocratic physician: "He was not a warrior or a priest but a professional worker with a social status of a craftsman, like the carpenter or the minstrel, the status that he still had in the classical period. The passage also reveals that physicians were few and practiced as itinerants, as was still the case in the days of Hippocrates" . The chief source of medical history is literature - medical literature. In all ancient civilizations, medical texts are found among the oldest literary documents preserved. Prescriptions and incantations were often long and complicated, and therefore not easy to remember, hence they were recorded in writing at an early date. Other sources may come from non-medical books and documents: works of fiction, literary works, folklore, law codes, political manifestos, commercial accounts, diaries, memoirs as well as prayer books. Information about past medical practices can be found in such unorthodox and unlikely sources because medicine encompasses every field of human endeavor. Such sources reflect events and views of the period and may contain references to the treatment of ailments. Oftentimes diaries and memoirs tell us better than medical books what disease meant to an individual and how it affected his life. It is generally agreed that the Iliad and the Odyssey were composed in the style of oral poetry. Since oral composition is traditional, much of the subject matter of the poems has been handed down over hundreds of years. The poems do not faithfully reflect the cultural and social conditions of any particular time, but rather a mixture of such conditions, spread over hundreds of years. Nevertheless, the poet reflects existing conditions in his own society to a much greater degree. Homer's characters are heroic but their passions and problems are human and universal. They, however, clearly understood their world and their own position in it: 1) the gods were powerful and man was at their mercy; 2) man must keep the gods happy through prayers, offerings and sacrifices; 3) displeasing the gods resulted in disease, pestilence, or misfortune; 4) health was restored by divine intervention through supplication. Modern Western medicine traces its foundation to Classical Greece, from about 800 B.C. to about 200 BC. Like all ancient peoples, Homer explains natural phenomena and disease in terms of magic and religion. The transition from magic to science was a gradual process that lasted for centuries, and there is no doubt that ancient Greece inherited much from Egypt and Babylonia. Dr. J. Roelandt, Professor of Cardiology, (Thoraxcentre Erasmus MC ROTTERDAM, The Netherlands), reviewed the article and gave the following additional information: "There is an important passage on fibrinous pericarditis. Homer describes "the hairy hearts of hoary heroes". In those days (the good old time) they wanted to make sure that the enemy was dead. When the fight was over they burst the chest with an axe. The heart was probably often exposed and they must have observed the hairy appearance of the exposed heart, which is typical in pericarditis. Pericarditis must have been common probably due to the prevalence of tuberculosis at that time". 1. Hart GD. Asclepius: the god of medicine. London: Royal Society of Medicine Press Ltd; 2000. 2. Edelsteins EJ. Aesculapius: collection and interpretation of testimonies. Baltimore, Maryland: The John Hopkins University Press; 1998. 3. Prioreschi P. A history of medicine. vol I Primitive and ancient medicine. Omaha, NE; 1999. 5. Guido Majno, The Healing Hand, Cambridge, Harvard University Press, 1975:144. 6. Sigerist HE. A History of Medicine. vol II. New York, Oxford University Press;1961:32.